Snoop Double O G. A true icon in the rap game. 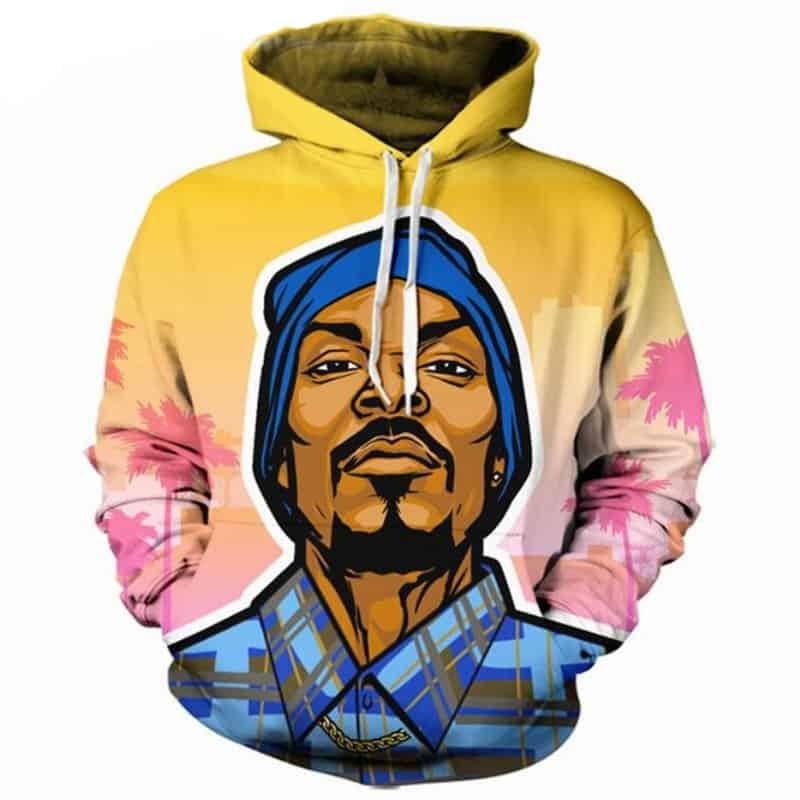 This Snoop Dogg Hoodie captures the style of Snoop Dogg. It features him with his up, wearing a blue beanie and a checker shirt. The background is a nice yellow with pink splashes on the arms. The hoodie is comfortable to wear, looks fashionable and is wearable anywhere. It was designed for both male and female.